Center City Dental Care is located in the heart of Harrisburg, Pennsylvania. We specialize in making you smile. Whether it's through interaction with our friendly staff or receiving caring, pain-free dentistry to fit your budget, our goal is to provide you the dental care you want at an affordable price. Contact us today to see how we can help you afford the dental care you need. Whether you need simple veneers or need to be fitted for a pair of dentures, we can help restore your smile to it’s former glory. Contact us today to learn more about how we can help keep you smiling. The easiest way to prevent tooth decay and other dental problems is making sure you keep your regular dental appointments. 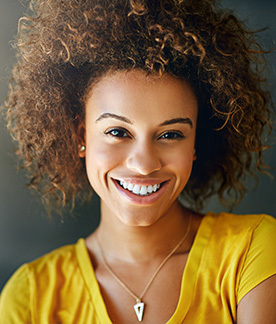 Learn more about the steps we can take to make sure your smile stays healthy. We are here to provide quality dental care for your entire family – from your smallest child to the oldest grandparent. Contact us today to keep your family’s smile bright and healthy. © 2019, Center City Dental Care. All Rights Reserved.